Often times a good treatment option for neck pain, is a chiropractic adjustment. However, it is also educating you with techniques to prevent re-injury and avoid neck pain in the future. To stretch and strengthen muscles in the affected areas, accelerating the healing process by reducing neck pain and swelling, while making muscles more flexible and strong. To teach posture and other body mechanics that can protect the neck and spine, preventing future neck pain. Show patients how to take care of pain flare-ups if re-injury occurs. Your chiropractor will always start by asking you questions designed to help figure out the scope of the problem, everything from your lifestyle to medical history. 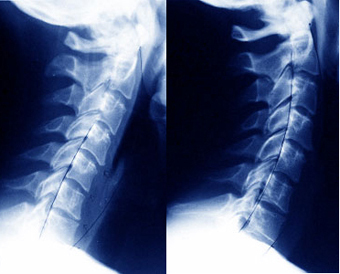 If your neck pain was caused by major trauma or disease, your chiropractor will make suggestions and a treatment plan. Visit Chiropractor Dr. Brian M. Moriarty, D.C. who can evaluate your condition. He has a B.S. from Oglethorpe University and a D.C. from Palmer College of Chiropractic Florida .Loving Chiropractic of Stuart has been serving Stuart FL since 2002. We provide chiropractic care for individuals and families, including newborns. Loving Chiorpractic of Stuart is located at 630 SE Monterey Road, Stuart, FL Phone: 772-219-3313.